We have just wrapped up 2015, a year where we discussed agriculture’s contributions to a changing climate, and what the sector suggests for solving the problem. We’ve had lots of discussion about drought, dust bowls, water shortage, heat stress, changes in the growing season, and other signs of what’s to come. We’ve blogged about the resources that we need to conserve because they are key to adapting to a changing climate, like soils and water. And we had a suite of posts about tools—mainly modeling tools, since it’s hard to study the future any other way (at least for now). Think back to when you read all these blog posts. Did you ever have the urge to interrupt with “but what about…?” Well, here’s your chance. 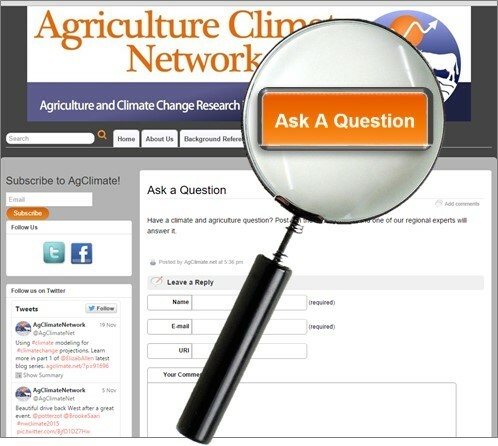 We at AgClimate.net are asking you to send us those burning “But what about…” questions. Here’s why.This blog is not meant to be only for sharing the ideas and research we—the university-housed contributors—find interesting and important. It is meant to be a place to work together to explore and test innovations and to answer research questions that will ultimately support sustainable, climate-smart* and climate-friendly* agriculture across the Pacific Northwest. To do that we need your input. 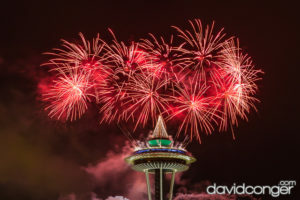 There are many ways to connect with us. Drop a quick line in the comment box below this post (or any other post, for that matter), and we’ll respond. Click on the Ask a Question tab, and we’ll find the right experts to tackle your question. Become part of a community of practice where what researchers study and discuss is relevant to the immediate and long-term needs of agricultural professionals. Help us share the results of climate change research in ways that support, encourage and empower producers in the Pacific Northwest. With your help, researchers can provide relevant tools and solutions to empower you and others in the agricultural industry to continue to successfully and sustainably grow agricultural products even as the climate changes. What really excites me about being a member and contributor to AgClimate.net is connecting the dots between the research that’s going on and the questions and decisions that will define the agriculture of the future, a future where many things are changing, including the climate. So my 2016 New Year’s resolution is to make sure that our AgClimate.net blog posts on climate change and agriculture science and innovation are relevant. By telling us what you think we should be talking about, you’ll get to judge how successful we are at doing just that. Let’s kick off a year of conversations that are climate-smart, climate-friendly, and fun. Please join me in a toast to a productive 2016 in support of sustainable, climate-smart and climate-friendly agriculture! * Editor’s note: In the interest of clarity, we thought it would be good to define these terms: by “climate-smart” Sonia means agriculture that rolls with the climate-change punches, and comes out victorious. By “climate-friendly” she refers to agriculture that is part of the solution to climate change rather than part of the problem. Sonia Hall is an Associate in Research with the Center for Sustaining Ag & Natural Resources at Washington State University. This entry was posted in Carbon & Soil Organic Matter, Climate Modeling, Greenhouse Gas Emissions, Impacts & Adaptation, Sustainable Practices, Variability, Weather, & Extreme Events on January 8, 2016 by AgClimate Admin.